Our elite development/training program is known as “JCC Elite”. This is a program designed for players interested in something more competitive than house league basketball. It will also help players who want to play competitive or Rep ball or are interested in representing Toronto at the North American Junior Maccabi Games in future years (does not mean guaranteed spot). 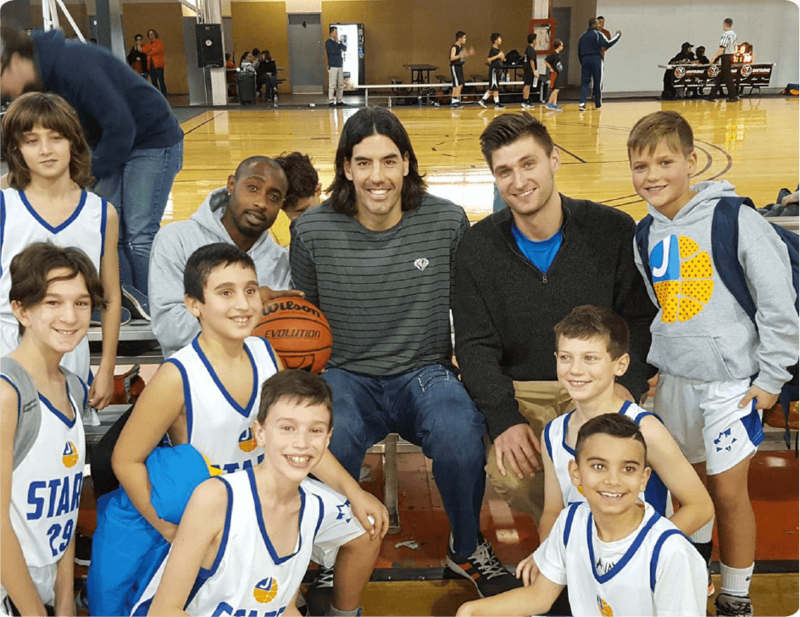 The U10 JCC Maccabi Warriors compete in the Ontario Basketball League. They practice and play home exhibition games in the Lebovic Campus Gyms at the beautiful Schwartz/Reisman Centre. The U11 JCC Maccabi Warriors compete in the Ontario Basketball League. They practice and play home exhibition games in the Lebovic Campus Gyms at the beautiful Schwartz/Reisman Centre. To schedule an exhibition game please contact, team manager, Mark Goldberg (markgoldberg@rogers.com). The U12 JCC Maccabi Warriors compete in the Ontario Basketball League. They practice and play home exhibition games in the Lebovic Campus Gyms at the beautiful Schwartz/Reisman Centre. The U13 JCC Maccabi Warriors compete in the Ontario Basketball League. They practice at North Thornhill Community and the Lebovic Campus Gym. The U13 team plays home exhibition games in the Lebovic Campus Gyms at the beautiful Schwartz/Reisman Centre. If interested in managing this team, please contact info@jccchaisports.com. The U14 JCC Maccabi Warriors compete in the Ontario Basketball League. They practice at North Thornhill Community. The U14 team plays home exhibition games in the Lebovic Campus Gyms at the beautiful Schwartz/Reisman Centre. To schedule an exhibition game please contact, team manager, Mark Benatar (mark@printdotcom.ca). The U15 JCC Maccabi Warriors compete in the Ontario Basketball League. They practice at North Thornhill Community. The U15 team plays home exhibition games in the Lebovic Campus Gyms at the beautiful Schwartz/Reisman Centre. To schedule an exhibition game please contact, team manager, Mitch Dubin (Mitchell.dubin@gmail.com). The program will be played on a Sunday Nights at 5:00pm-6:30pm at the North Thornhill CommunityCentre Thornhill. It will begin on October 14th, and will run for 15 weeks. Registration for Thornhill will be $325 per player (early bird until September 7th). More one on one detailed and focused coaching and training. Focus on developing and perfecting all minor and major skills in basketball. Endurance training including core, stamina, and strength training. Specific on court and off court conditioning drills. Learning to become basketball smart on the court such as court vision, court sense etc. Learning the different specifics of positions and tailoring these positions to each player. Learning key offensive and defensive drills and skills. Learning the mental and physical aspects of basketball. Coaching clinics and assessments to find the right skill level for kids. for players interested in something more competitive than house league basketball.